Eastbound traffic on Scotland’s busiest road came to a standstill earlier today after a serious road accident. 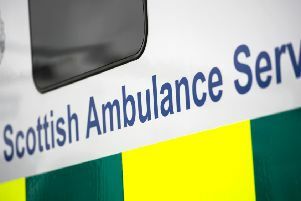 Police attended a road traffic collision at 12.20, half a mile past Junction 6 on the M8 Eastbound. Six or seven vehicles are reported to have been were involved in the crash and all vehicles heading east stopped while emergency services were on the scene. At 14:00 the road was cleared and traffic is moving once again but long tailbacks are still causing problems. Police Scotland said there had been no reports of any serious injuries. Witnesses at the scene reported a car lying overturned on it’s roof with debris surrounding the wreckage. Ross Purvis told the Evening News he had seen at least “three cars involved” while passing the scene. All emergency services are in attendance and latest updates from Traffic Scotland show traffic at a standstill back to the A73 Junction.